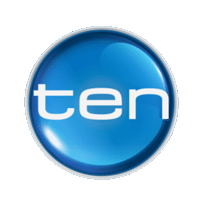 The most experienced window film company, chosen by Shaynna Blaze. 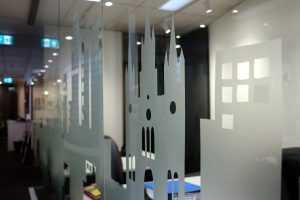 We are Melbourne’s oldest and most experienced frosted window film business. 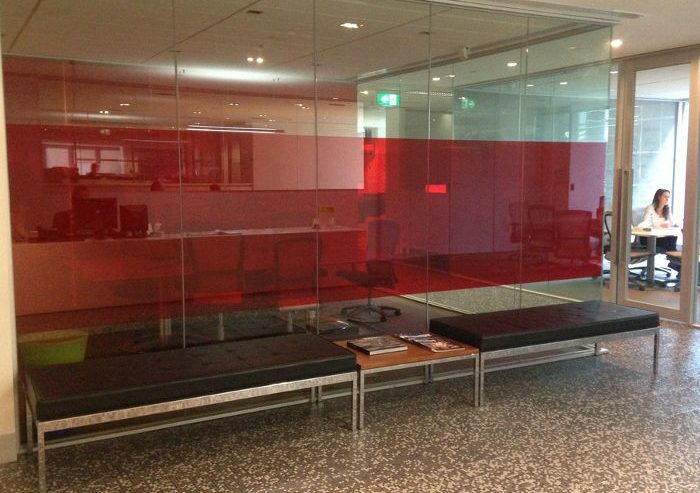 We install frosted glass film to resolve privacy and overlooking issues and for glass office partitions. We design, cut and install window film for decoration and to meet building regulations. Our service also includes window film removal. Find answers to common questions about window film, including applying window film outside. Privacy Window Film is a polyester film applied internally or externally to glass or windows. This achieves the appearance of frosted glass and solve issues of privacy without compromising light. Almost any design can be pre-cut into window film and installed on glass and windows. Decorative effects and designs can be created in a range of colours and grades of transparency. Frosted window film can be installed on windows and glass to meet building codes. Regulations specify that windows or balconies must not provide a direct line of sight into a neighbour’s window or garden area. When high quality frosted film is cut and installed by specialists, it offers many advantages in both residential and commercial applications. Frosted window film gives the appearance of frosted or opaque glass. It provides privacy and security, without compromising light or views. 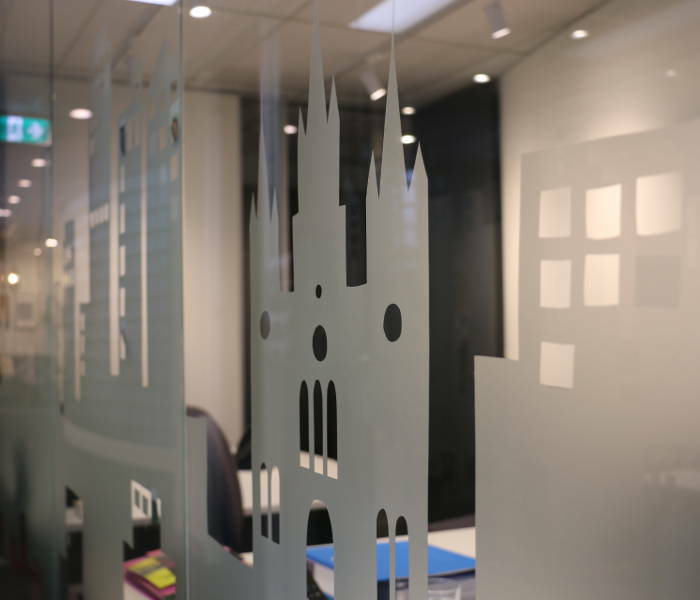 Frosted window film can be pre-cut into any design. Business and corporate logos or bespoke designs can be used to increase brand visibility and make a design impact. Frosted window film can be installed inside or outside, in a block, cut into almost any design, and is available in a range of colours. 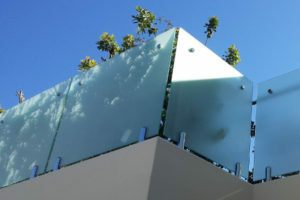 Window film is used in residential and commercial applications. Frosted window film is long lasting, withstanding wet conditions and UV damage. 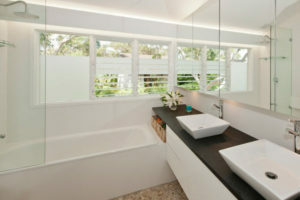 It is perfect for use on external balconies and indoors in bathrooms, where privacy is required. Frosted window film is easy to clean, with regular glass cleaning products. We also provide a professional window film removal service. Frosted window film can be retrofitted to existing glass and windows making it an affordable option. DIY kits are also available. Apply To Glass are the winners of the Victorian Energise Enterprise Award by Business Victoria. With 20 years installing frosted window film, Melbourne business relies on Apply To Glass for window frosting. Apply To Glass is the most experienced company in Melbourne to supply, design and install frosted window film and decorative window film. With over twenty years experience we know how to achieve a result that not only fixes a problem, but looks fantastic and will last. We understand how to work with consideration for the design, size and layout of space, as well as light. We only use durable, high grade window film and we are experts at installation. Founder, Trich Neuman began her career as a signwriter. With her talent and understanding of design, Trich is a leader in the industry – designing and installing decorative window film. Design projects are fully customised, involving an onsite consultation to understand your requirements and the space. We can pre-cut commercial logos or bespoke designs or assist with ideas and options to finalise something that suits your window frosting needs. 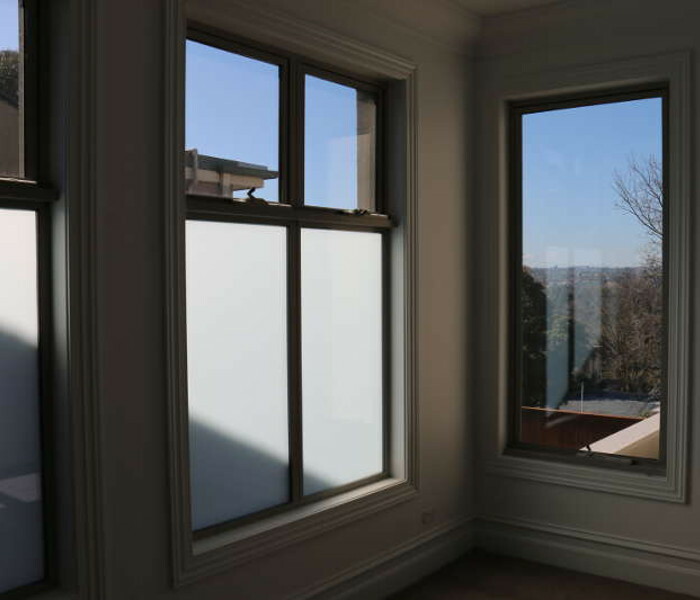 We only use high quality frosted window film that is able to withstand varying temperatures and the damaging effects of the harsh Australian climate. Where inferior films quickly peel, bubble and break down, we only source film from select manufacturers and are the preferred choice used by architects and interior designers. We guarantee all internal applications of frosted film for seven years or the full manufacturer’s warranty. Does Frosted Film Suit My Project? High quality frosted film is used for privacy and decoration for commercial and residential projects - big and small. We work on office fitout projects installing and retrofitting frosted window film on large and small commercial office design projects. We’re fast and reliable. We work with you to create impressive interiors for office makeovers, office branding projects, and privacy solutions. 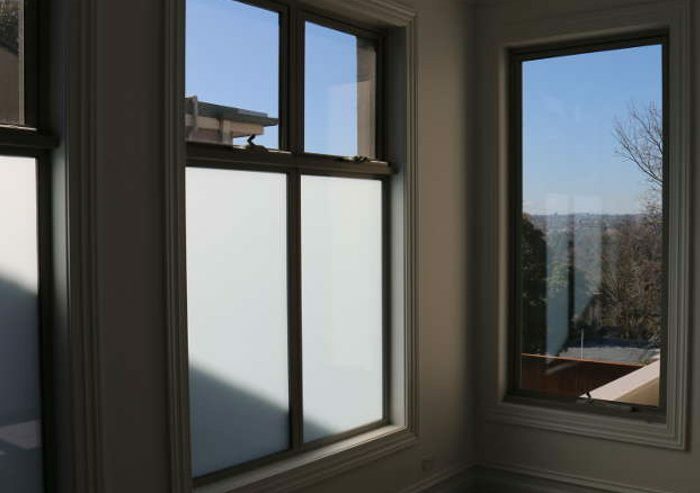 Window privacy film can be retrofitted to existing windows and glass. Logos and almost any decorative design can be pre-cut and applied to window shop fronts, internal glass office partitions and even furniture. 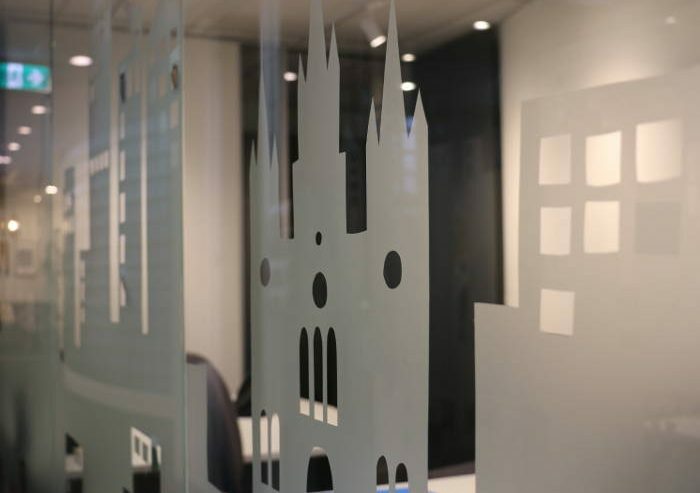 Depending upon your client’s requirements, a window or glassed area can have frosted glass film installed across the whole area to create complete privacy or almost any design (including coloured) can be cut into the film to create a range of decorative window or glass effects. Do you have privacy issues with balconies, entrances, bedrooms or bathrooms? Decorative and privacy window film provides the flexibility of multiple design options to address these issues, while not compromising on aesthetics. We visit your home to provide all the best design options. Apply To Glass were highly professional to deal with. From the initial quote to installation they provided useful advice and suggestions for materials. Trich and Olga were great to deal with and the job was done fast and efficiently. I highly recommend their services. I dropped by the property last night and was really impressed with the frosting film job done yesterday. And the day after I made my initial inquiry. Great service! Happily anticipating receiving the invoice. Thanks so much. Thank you for the lovely job you did in our bathroom. It ended up just as I had hoped. Working with Apply To Glass has been a pleasant experience for more than 6 years. Trich has always been a great communicator, dedicated and nice to deal with. I would recommend Apply To Glass' services and ability to meet dead lines in a professional manner. Apply To Glass was most helpful in suggesting pattern ideas, and communicated well arriving at the appointed time. How glad I was that I did not attempt this job myself when I saw the skill & precision of Apply To Glass. We are absolutely delighted with the end result and would have no hesitation in recommending Apply to Glass for any frosting job. Our wardrobe doors have transformed our bedrooms. We regularly post images of latest techniques, design ideas and top projects. Follow us to get inspiration for your next project. As Melbourne's most experienced frosted window film company we stand by all our work. We are proud of our work. 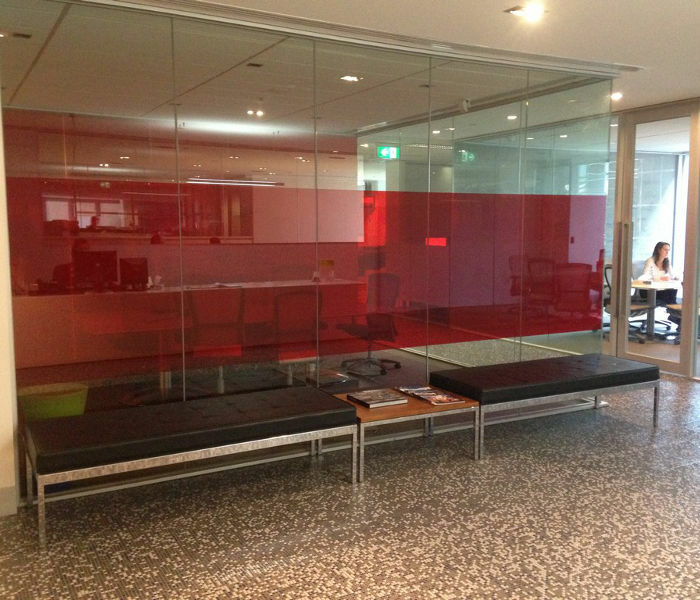 Here are some examples of our latest window frosting and decorative window film projects around Melbourne.